All of our recipes are inspired by street eats, markets, and foods from the road. 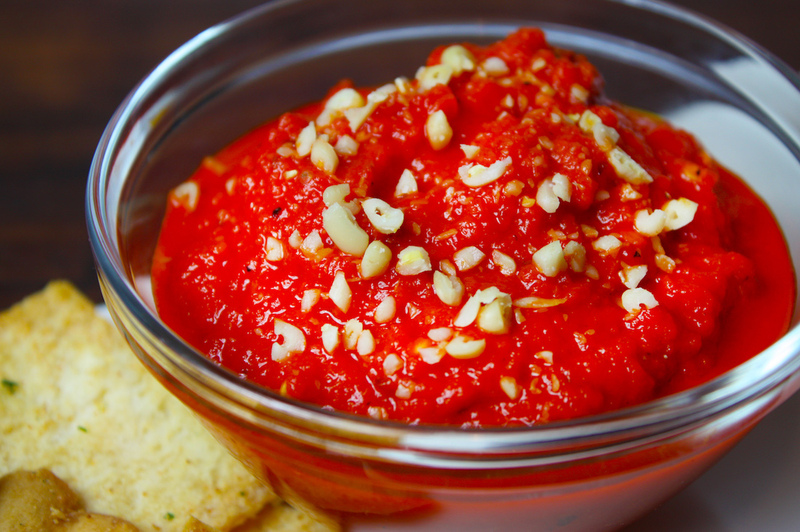 This easy and healthy Fiery Roasted Red Pepper Spread recipe comes from a sleepy little beach town on the southern coast of Crete. The last stop on our Greek vacation was in Mirtos, Crete. We had spent the morning walking the quaint downtown and drinking espresso at beachfront cafés. We decided to peruse the local markets and collect provisions for an impromptu picnic on the beach. We bought a loaf of bread from the bakery, sliced salami from the deli, a wedge of parmesean from the cheese shop, fresh lemons and tomatoes from the vegetable market, and then made our way to the adorably small olive shop. We filled a small plastic bag with assorted olives, picked up a jar of local honey and a jar of fiery red pepper spread. We gathered a few supplies from our apartment, wandered down to a deserted part of the beach, and set up a makeshift picnic on the pebbled shore. If you’ve ever had the pleasure of visiting Greece, you know that the food is some of the best in the world. Not because of the intricacies, but because of the simplicity. Everything is incredibly fresh and flavorful. Fruits and vegetables are colorful, rich, and delicious. Each chunk of cheese, every squeeze of lemon, each olive is absolutely decadent. 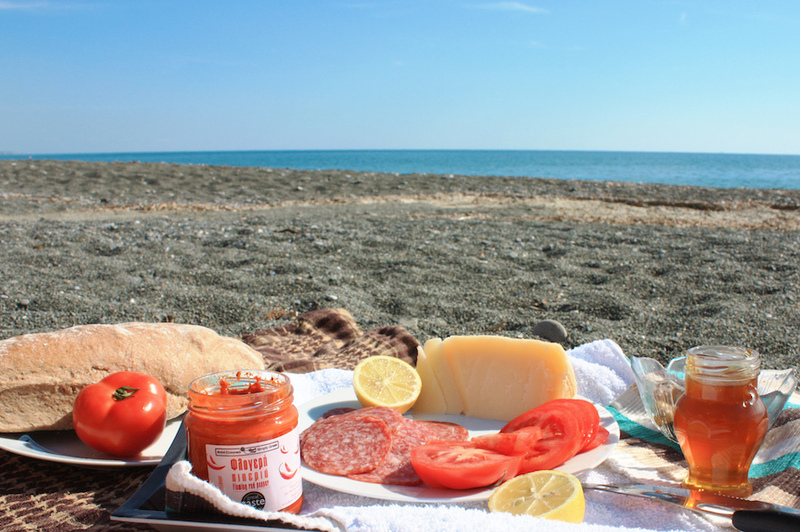 As we sat on the beach, watching the waves crash and eating our perfectly procured picnic, I couldn’t stop drooling over the fiery red pepper dip. It was unbelievable. I immediately ripped off the label and shoved it in my journal, knowing that eventually, I would attempt to recreate it. Until someone can ship me boxes of this spicy goodness, I am forced to make my own version of it from my kitchen here in Michigan. The view might not be the same, but at least I have good eats! Greek food really relies on fresh ingredients. When trying to mimic this simple spread, I made sure to use high quality products. With so few ingredients, the flavors of each item can make a drastic difference. 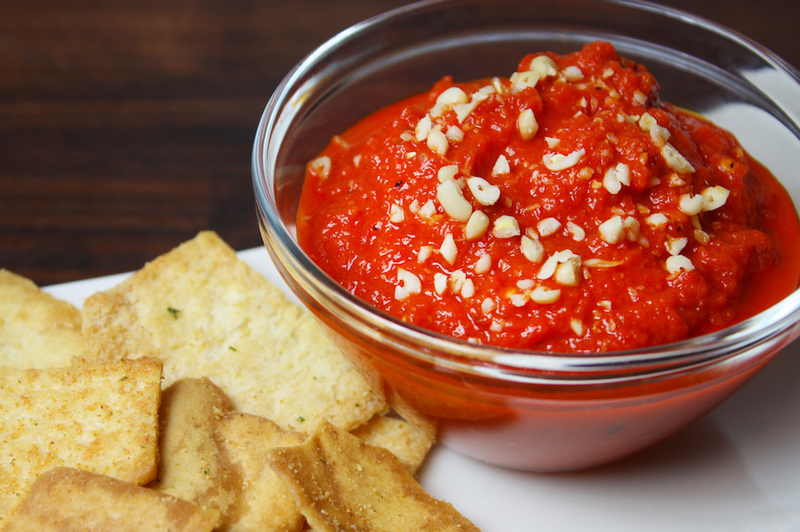 Here is how to make this easy, delicious, and healthy roasted red pepper spread! 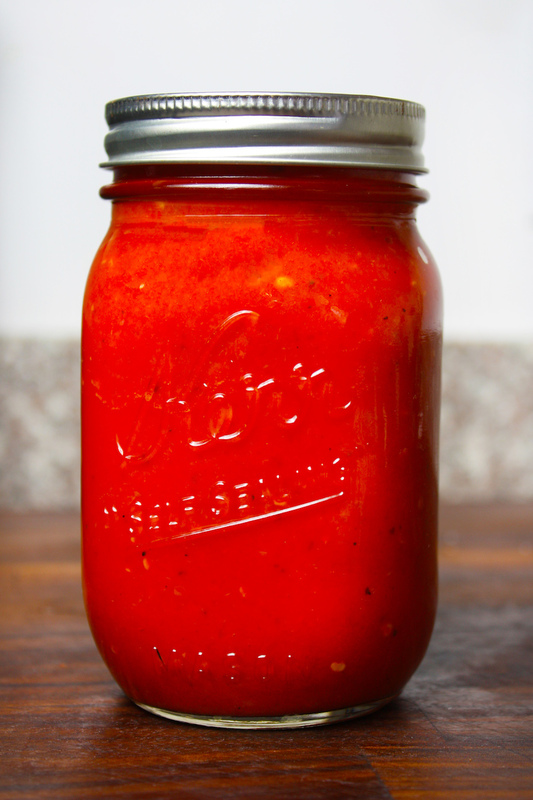 You can buy jars of roasted red peppers from your local market, but I prefer to make them fresh. 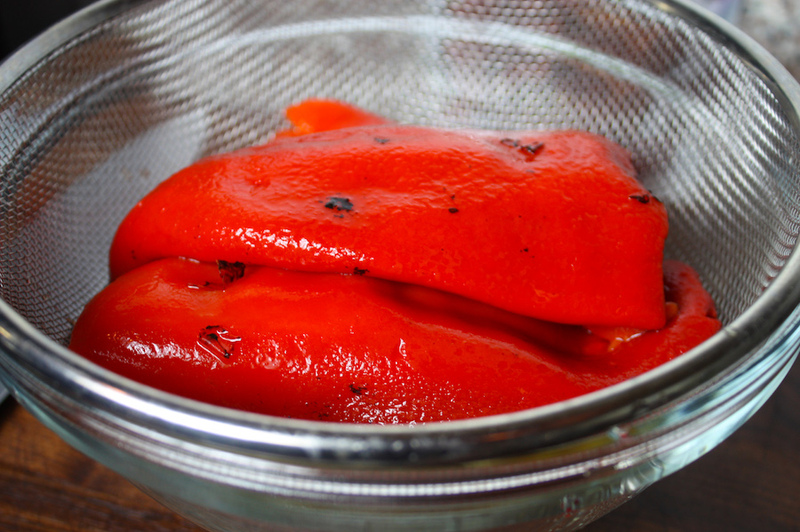 To make homemade roasted red peppers : Cut your peppers in half and remove the stems and seeds. Place in a 450° oven for 20 – 25 minutes until the skin is wrinkled and charred. Remove the peppers from the heat and let cool. You can place them in a plastic bag to help them steam. Once they are cool enough to handle, peel off the skin. 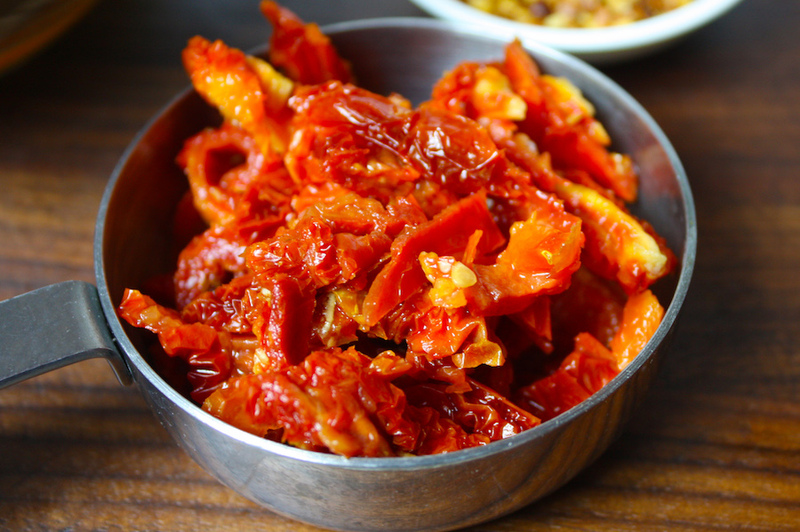 I prefer using dry sun-dried tomatoes instead of those packaged in oil or water. These give you more control over the flavors and the amount of liquid added to the spread. The heat level can be adjusted to your liking. Dried red pepper flakes work well, fresh cayenne peppers, or your favorite hot pepper. 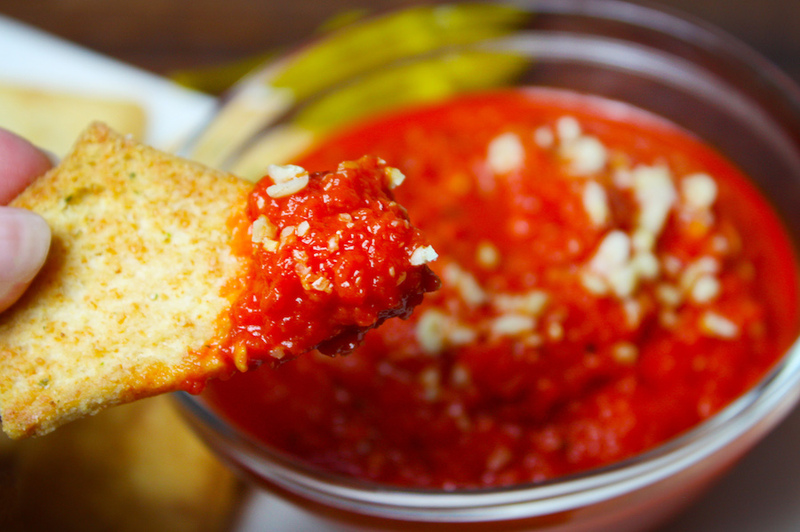 Make sure the chile you use is red to maintain the rich color of the spread. Keep in mind that different chiles have different flavors. This really is an incredibly easy simple. Place all ingredients into a food processor and blend until smooth. I like to add a few more sun dried tomatoes at the end and pulse a dozen times. This adds small chunks of sun-dried tomato to the spread for extra flavor and texture. My favorite garnish is crushed pine nuts. You could also use fresh chopped parsley, grated parmesan, or a squeeze of fresh lemon. Spread on sandwiches or serve with pita chips, fresh bread, veggies, or cheese.